To read the full article from The Rapides Foundation, click here. 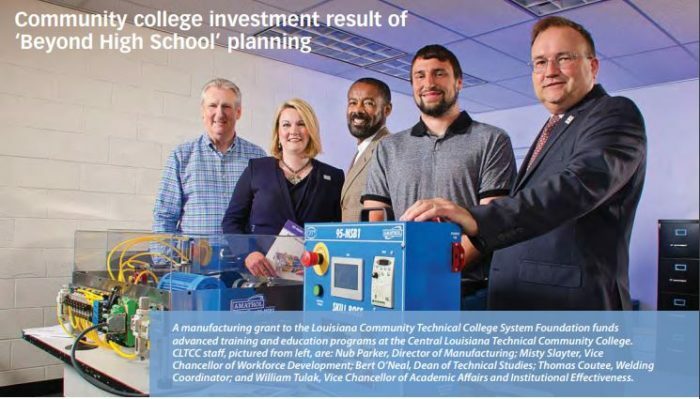 Central Louisiana Technical Community College (CLTCC) recently received a $4 million grant to “strengthen manufacturing training programs” in Central Louisiana and establish the Central Louisiana Manufacturing Technology Center in downtown Alexandria, Louisiana, which will house a state-of-the-art technical training program. This Center will feature a variety of Amatrol equipment, including 24 Skill Boss systems used in conjunction with MSSC‘s CPT+ certification. This level of collaboration is a perfect example of how involving the community and local industry in a workforce development initiative can lead to exceptional results.